Wade Fricke has practiced management-side labor and employment law since 1989. He was one of three attorneys who founded the Cleveland office of the firm. 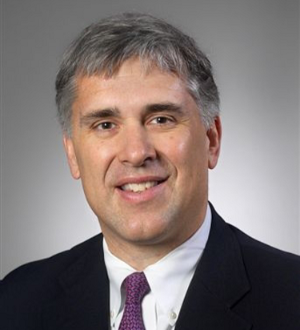 Prior to joining the firm, Wade was a partner in Cleveland’s oldest law firm, and before that, he worked for the Cleveland office of a national full-service law firm.Wade represents companies of all sizes across the country in virtually all aspects of employee relations in union and non-union settings. In both settings, Wade’s practice focuses on issue avoidance and positive employment practices. In union settings, Wade has extensive experience in contract negotiations and, where necessary, grievance resolution and arbitration, and strike management and resolution. His experience in non-union settings includes extensive employment relations auditing, supervisor training, union representational election work, drafting and reviewing employee handbooks and work rules, sexual harassment and other training, and most aspects of preventative-maintenance labor and employment counseling regarding state and federal regulation of the workplace. Wade’s employment counseling experience includes practice before the Ohio Civil Rights Commission, the Equal Employment Opportunity Commission, the Department of Labor and the National Labor Relations Board. Wade is one of eight attorneys serving on the steering committee of the firm’s 125-plus member Traditional Labor Practice Group.